Psychologists have it all wrong. Myers-Briggs? For chumps. Rorschach tests? Child’s play. No, there really is one much simpler, more defining way to tell exactly what makes people tick. First, ask them if they are Pavement fans. If they say no, you can pretty much write them off immediately. I mean, for purposes of this study. I’m sure their life can still amount to something in general, but frankly, I’m not interested. Next, ask them what is their favorite Pavement album. There are only five possible answers, so this gives us a good, narrow yet diverse way to assign our subjects a description. Slanted and Enchanted? A life emphasis on something new, but without a real clear definition of what that is – the perpetual search for life’s meaning. Crooked Rain, Crooked Rain? A specific world-view that is grouped around having had the search for life’s meaning and found something to focus on. Wowee Zowee? Someone who embraces chaos and finds life’s meaning in the constantly shifting nature of existence and human nature. Terror Twilight? Well, you know, we can’t all be perfect. And today I want to focus on the in-depth revisionist view of Pavement’s fourth album, Brighten the Corners. As part of the continuing series of remastered/reissued editions of the Pavement oeuvre, Nicene Creedence Edition is another winner. This type of loving, detailed examination of an album is the type of thing that more classic works are deserving of, but then again, Pavement was lucky enough to be recognized as a masterful band before enough time had passed for recordings to start disappearing, people to get angry and clog up the works, and any of the numerous other reasons why bands don’t get this kind of treatment. That or it’s just a continuation of the fascination America’s culture has with instant nostalgia. You’re remembering something almost as soon as it exists. I’ll cop to myself being a Brighten the Corners person. What does this say about me? Well, the moments of sentimentality on this record are some of my favorites – and I’m a bit of a sentimental softy. 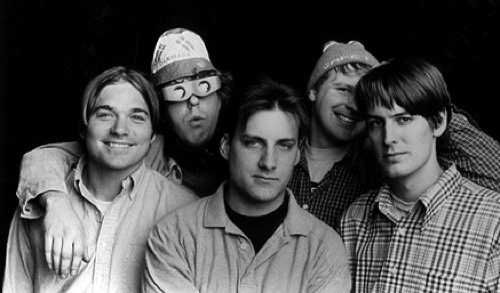 “Old to Begin,” “Type Slowly,” “Starlings of the Slipstream” and “Fin” are among the best songs of their type in the Pavement catalogue – slow and emotional, leading and descriptive. My favorite songs from the other Pavement albums often follow this line. There’s something really, blindingly unified about this album also. Where its immediate predecessor, Wowee Zowee, was a chaotic mess of styles and sounds, even in its disparate moments, Brighten the Corners seems like one piece. The soaring, plaintive wail of the crunchy “Date with IKEA,” possibly Spiral Stairs’ best contribution to any Pavement album, leads in perfectly to the soft pull of “Old to Begin” and “Type Slowly.” The raucous, shout-along-perfect “Stereo” opens the album with a flawless tone, followed by “Shady Lane,” the song that a friend of mine has labeled as the song he instantly thinks of whenever someone uses the phrase “indie rock.” Even the weaker songs seem almost perfect in their less-than-amazing status. Almost as if placed there to emphasize the brilliance of the rest of the album – juxtaposition at its finest. “Ain’t no dark ’til something shines,” as Townes Van Zandt put it. For records recorded in the 1990s, the re-mastering of these albums is a little less important than the additional material, so the biggest question about whether these reissues are worthwhile comes down to the add-ons. Like with the previous entries, they don’t disappoint here with a whopping 32 tracks in addition to the original 12 song album. Here are album outtakes, b-sides from album singles, compilation tracks, another Peel Session and scattered live tracks. One of the more interesting notes about some of these, specifically some of the b-sides, is that they come from Terror Twilight-era singles. The excellent “Harness Your Hopes,” “Roll with the Wind,” their fantastic cover of Echo and the Bunnymen’s “The Killing Moon” and the Peel Session version of “The Classical” were all b-sides to either “Spit on a Stranger” or “Major Leagues,” both singles from Terror Twilight. They were all recorded during this album’s era, but it does start to make you wonder what extras are floating around from Terror Twilight and whether an expanded edition of that is even in the cards. The highlights show the evolution or deconstruction of certain songs – eventual Terror Twilight album track “The Hexx” (here called “And Then (The Hexx)”) shows up twice – first in its original, unedited version, clocking in at just over seven minutes and sounding much crunchier and wandering than its Nigel Goodrich-produced album counterpart; then as a BBC session more closely resembling the five-minute running time of its final version. “Slowly Typed” is a goofy, loping re-working of “Type Slowly” that is good fun, if nothing revelatory. There are some excellent songs that existed or were recorded around this time – “Winner of the,” “Cataracts,” the instrumental “Beautiful as a Butterfly,” and “Birds in the Majic Industry” (appearing here for the first time with vocals) are all songs that would’ve fit in beautifully with the album’s tone. A run of live tracks on the second disc show just how somewhat confounding Pavement could be as a live band. A gorgeous version of “Type Slowly” from the Tibetan Freedom Concert album is an example of how their sentiment could transfer over, but a really lackluster version of the otherwise sublime “Date with IKEA” from the Peel Sessions seems like they’re just running through the motions. The rest of the live tracks, with the exception of the fun and context-needed versions of the freak-outs they performed on an episode of Space Ghost: Coast to Coast, a run through of Wowee Zowee’s “Grave Architecture,” and the unreleased “The Classical,” are pretty miss rather than hit. Crooked Rain has always been my favorite, but probably just because it was my very first exposure to the group. I’m pretty fond of Slanted, too. Ronbailey, it was only recently that I firmed up my devotion to Brighten the Corners. I’ve gone back and forth with it and Crooked Rain for years now. And admittedly, Satisfied got me to re-examine Wowee Zowee following the last reissue after I had kind of written it off as a lesser album. I mean, we are sitting here arguing the various merits of albums by, arguably, the greatest rock band of the 90s, IMHO. Some vacillation in opinion is allowed. picking my favorite pavement record is like picking my favorite child. has to become a sort of game, doesn’t it? it would be near impossible to say slanted and enchanted wasn’t my favorite, given that i was coming of age when that record came out – and it changed everything. all the rules. everything. we used to listen to it so much in those years that it is now a distinct part of my physiological makeup. oh and wowee zowee is great too. CR CR gets my sentimental vote as it was my first exposure to the band and “elevate me later” reminds me of a girl and a time. Crooked Rain . . . many don’t want their Pavement focused, but that’s what you get on CRCR. Slanted is a wake-up call, Wowee an exile on Main Street, Brighten the detached sound of accounts receivable, and Terror the Retirement. Hey, I like Terror Twilight. BTC is my fave, but Terror Twilight, I will come out fighting for. It takes the sentiment of ‘Here’ but puts it through that Godrich filter. I love Pavement, but I sometimes imagined, especially in the late 90s, how they would go if they played the game. Not up against Radiohead or Travis, but against bands like Mercury Rev. Songs like Spit On A Stranger had that magical beauty but was still Pavement. The story they tell of the title on the Slow Century DVD nails it for me. Could they have ended their career better? It’s the great indie sulk record. They took on the major leagues and failed. They feel just as bad as you do as you realise it’s over, then it ends with Carrot Rope, the most perfect summation of Pavements off-centre innocence and fun. I’m sure I read somewhere that there is very little left over for Terror Twilight, in terms of b-sides and outtakes. But it will be a shame if it’s considered the Mardi Gras of their career. It deserves much, much more. much like the pixies albums, i find it really hard to pick a favorite pavement record. they’ve all been my fave at some point or another (excepting Terror Twilight — basically the 1st malkmus solo record). 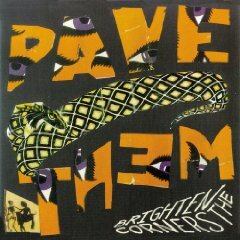 brighten was the 1st record i played for some of my friends who had never heard the mighty pavement and they went gaga over it. my old band covered “date with IKEA” so it will always hold a special place. overall it’s the album that was best sequenced. FIN is the best final song on any pavement record. i’m surprised you guys didn’t mention that this was recorded by the legendary mitch easter! Crooked Rain is their finest work I believe. But I think Brighten the Corners is way underrated. would i be a fool to base my entire choice on one track? who cares. Motion Suggests puts Wowee Zowee on the top of my list. its so catchy but at the same time so…pavement. i’m sorry, i’m a sucker for the midtempo ballad. I decided a short time ago (3-4 months?) that BTC is my fave, with Crooked Rain a close second. Never was a big fan of, but I’m slowly growing on Wowee zowee. Their best collection of songs, each one indispensable. Their chaos is just as controlled as Brighten the Corners, just better. Easily Top 5 Indie of the ’90s. Agree with the above comment–Wowee Zowee is in the top five albums of my entire frickin’ life. I can never decide between CRCR or WZ, so I’m not going to here. Crooked Rain Crooked Rain all the way! I’ve always been a Brighten the Corners guy. It’s the most complete, well-crafted album — not that the others aren’t. Glad to hear there are others! How can you rank Pavement? To do so is so pointless. Well, here’s the only order that makes sense to me. To diss Terror Twilight is to err on the side of popular opinion, rather than actually paying attention. I’m forever stuck deciding whether it’s slanted and enchanted or wowee zowee which is the stronger album. I’m hoping they do have enough material to put out a terror twilight reissue for completeness sake, but really the only one so far that I’ve felt has been a truly strong re-release was S&E, there’s been far too much filler on the rest (even if there were 3 versions of here on S&E). amen brother. i’m a btc guy myself. a4d josh. i fondly recall it being the only cassette i had when i left the us for england in 97. I gradually find myself moving from one Pavement album to the next with passing love, as there was a time when Slanted ruled my world, which was then followed by Crooked Rain, but, secretly, I harbored love for S&E for, roughly, ever. Yet Wowee Zowee I flat out didn’t like when I first got it. I couldn’t even tell you as to why — it was just so dissonant and different, I ultimately just relegated it to being on my self for over a year. I put it in my car for the first time since then about a month ago. Suddenly, it is my hands-down favorite. It is sprawling, messy, and gloriously unfocused — it’s the epitome of indie-rock, which, really, means a lot more with each passing new fad that comes in Pavement’s wake. Someone once wrote that Pavement were the indie world’s “own private Beatles” — and Wowee is, without a doubt, their White Album. Westing (by Musket or Sextant). Okay, not technically an album, but the Pavement CD I like to listen the most. Wowee Zowee. I know we’re not talking individual songs here, but all the strange noise on either end of “Grounded” serves as so much pomp and circumstance, making it the greatest song on the greatest pavement record. Oh! The agony I put others through on road trips when this album ruled my life. I think that criticism of Terror Twilight is both lazy and ignorant and lists of favourite songs or albums are just plain pointless… particularly for a band as creative as Pavement. I mean honestly… name one band that has come near in the last 10 years? I love every Pavement record and I love them all and Terror Twilight is no lower down on that list than anything they recorded, it’s just another twist of genius in a different style. It was about time they polished their material, they took the lo-fi thing as far as they could take it, I mean 9 years of it is enough right?